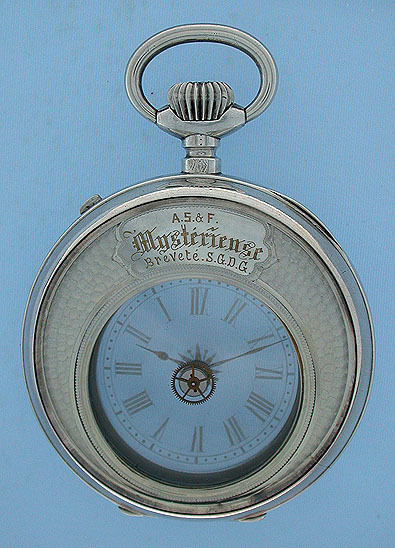 Swiss silver mystery antique pocket watch circa 1890. 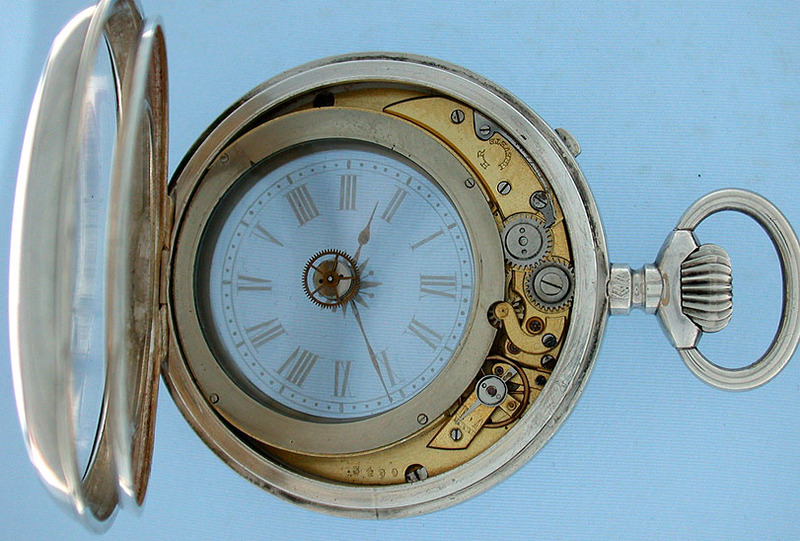 The dial is transparent and there is no apparent movement driving the hands. The 10 jewel cylinder movement is concealed in the crescent shaped area above the dial and drives a brass toothed glass disk which in turn drives the hands. Excellent example. The hands on these watches are usually set with a match stick or toothpick. 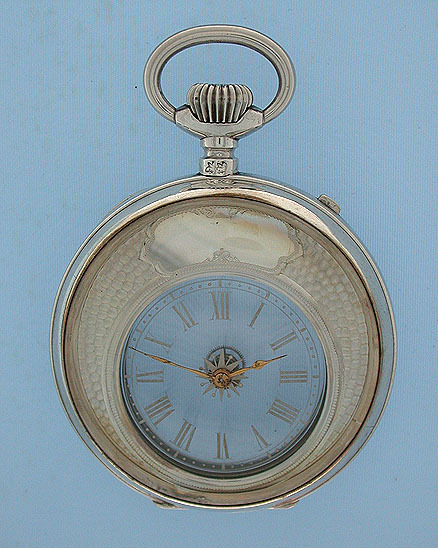 The center post has been fitted with a watch train wheel on the back to set the hands which may account for the particularly fine dial condition. This can easily be removed.